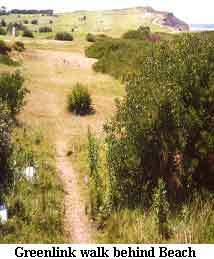 Long Reef’s early sand dunes extended north across half the headland towards Fishermen’s beach. 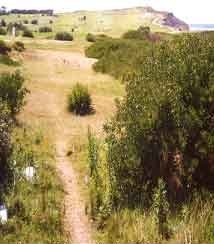 Large sand hills existed behind Long Reef beach up until the second World War in the 1940’s, when the Australian Army levelled the sand and trucked it into Sydney for sandbagging buildings. 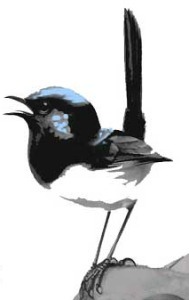 Fairy Penguins were reported to nest in Long Reef’s dunes up until the late 1930’s and are still seen regularly by local board riders in the surf off Long Reef beach riding the Bombora. 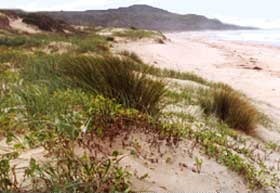 The few remaining sand dunes – immediately north of the Long Reef Surf club – are all that remains of the original dunes behind the beach. These are also the only remaining example of a progressive dune system – primary, secondary and tertiary dunes in Sydney outside the Royal National Park. Extensive work by Reefcare volunteers (top right) over the past few years funded by government grants has restored almost all of the hind dune vegetation to it’s original state. 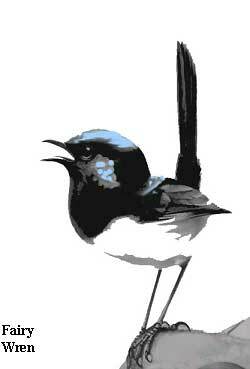 Over 5000 native seedlings have been planted using plant species propagated from remnant vegetation on Long Reef. 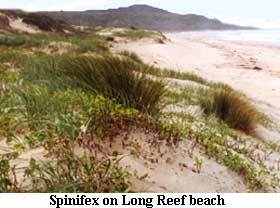 Only the presence of native vegetation restricts sand movement which occurs naturally – driven by the wind. Spinifex (top left) is one great stabiliser. 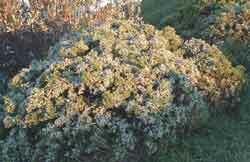 It has silver hairs on its leaves to reflect sunlight and retain water loss and can handle sand movement. 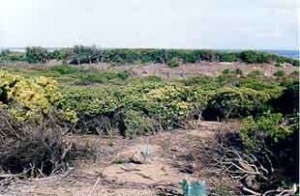 Coastal heath Leucopogon parviflorus (centre right) is also an important example of remnant coastal vegetation in Long Reef’s dunes and is a habitat for birds such as Black-shouldered Kites (birds of prey) and Superb Fairy-wrens (left).